Welcome to Josey Creek Missionary Baptist Church where Ministry Makes a Difference! Our prayer is that this website will serve as a tool to assist you in discovering the rare treasures found within our church network. We are elated that you desire to learn more about what is being offered at "The Creek." Join us at either our 11:00 a.m. worship service on Sunday or our Bible Studies on Tuesday & Wednesday. Our Tuesday Morning Bible study is from 10:30 to 11:30 a.m. and our Wednesday Evening Bible Study is from 6:30 to 7:30 p.m. You will encounter God's presence in a fresh and personal way! I am confident that you will be encouraged and edified as you are being equipped for ministry. Again, that you for your interest and see you at the "Creek." to make these things known to the Starkville area and the world. 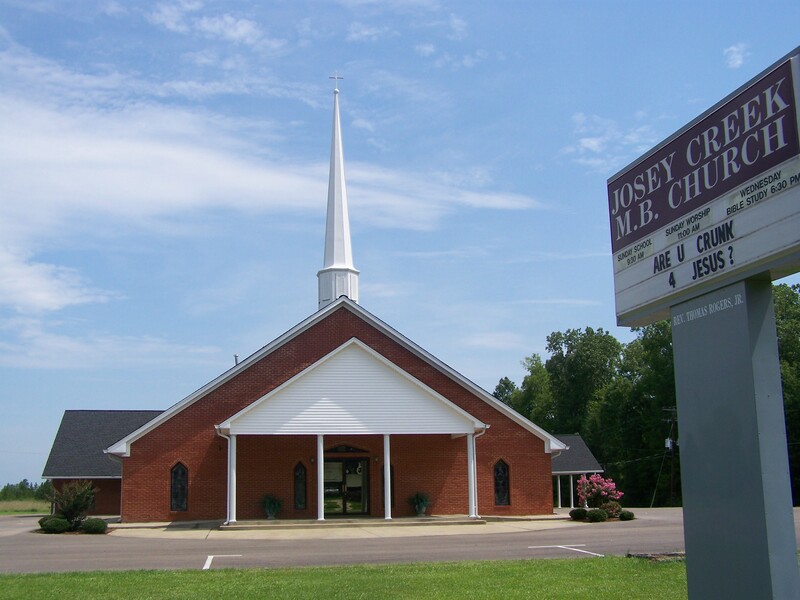 THEME FOR 2019: "Living In Covenant With God"
The Josey Creek M. B. Church is a congregation of Christian believers that trust in God the Father, fully believe that Jesus Christ is the Son of God, and the Holy Spirit is our Comforter and Keeper. We are a church that believes that the Bible is the Word of God, and in it is Kingdom Principles for Christian living. This body of Christ is dedicated to the teaching, developing and living the Word of God. With God as our head, we are secure that He holds our hand as "We Walk By Faith, Not By Sight." Prayer & Testimony - 9:00 a.m.
Bible Study - 10:30 to 11:30 a.m.
Bible Study - 6:30 to 7:30 p.m.